In one of our math lessons a week or so ago, we were going over how to write checks. I thought it would be fun for Jonathan to have some pretend checks of his own, and it would be good practice for him to write a play check or two every now and then. 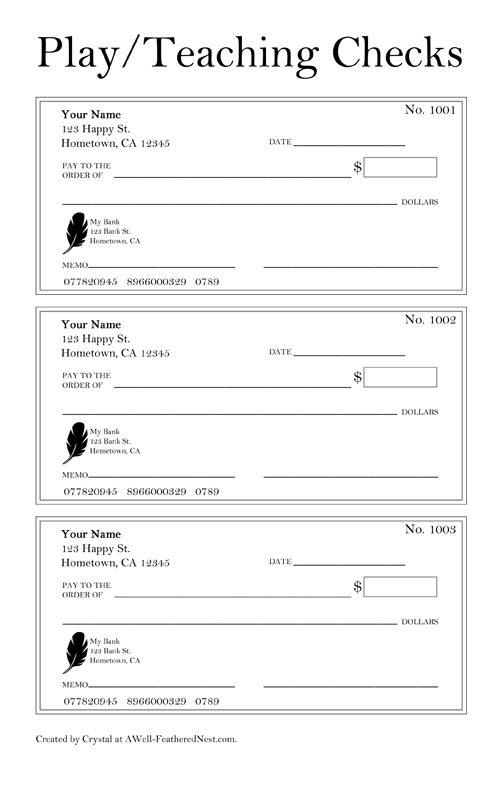 I whipped him up a stack of printable checks, and then I made a more generic version to share with you all. So, now you can teach those little ones how to fill them out. Maybe my next project should be a printable check register, so we can teach them how to balance these play checkbooks!